Welcome to our Online Patient Center! Here you can get information about what to expect during your visit with Our doctors as well as important forms you can complete before your appointment to save time. When you visit our office, you will be warmly welcomed and we can answer any questions you may have about completing the paperwork so that Alpharetta may see you. Our team will work together to evaluate your eyes and provide relevant eye care treatment information, review your vision benefits and payment options, fit you for glasses or contact lenses, and focus on exceeding all of your expectations. If at any time you have questions about the process or your specific health information, please ask. Please fill out the forms below and bring them with you to the office when you arrive for your appointment. The records release forms only need to be downloaded if you requesting records. 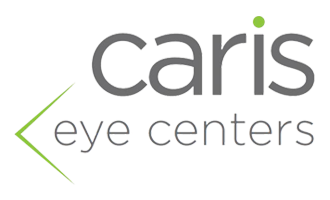 At Caris Eye Centers, we accept most vision plans including Vision Service Plan (VSP), Eyemed, Vision Care Plan (VCP), Superior Vision, and Cigna Vision. We also accept most medical insurances such as Medicare, Blue Cross Blue Shield, Humana, Cigna, and TRICARE. For your out of pocket costs, we accept cash, checks and most major credit cards. *We also file Workman’s Comp.